Hello, how are you? I hope you are well. It’s been a while since I’ve been here, but I thought I’d try to get back into sharing more nonsense. 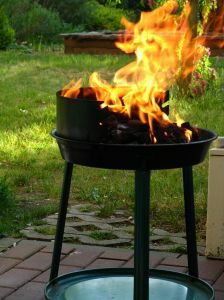 That was always the intention of this blog, really: noticing and passing on everyday sorts of sparks that I saw and liked. Because sometimes it’s nice to have a light diversion from normal everyday life, right? So, here’s some nonsense that I found last week – an excerpt from the menu at the not-so-great Melbourne hotel I stayed in whilst in town for work. 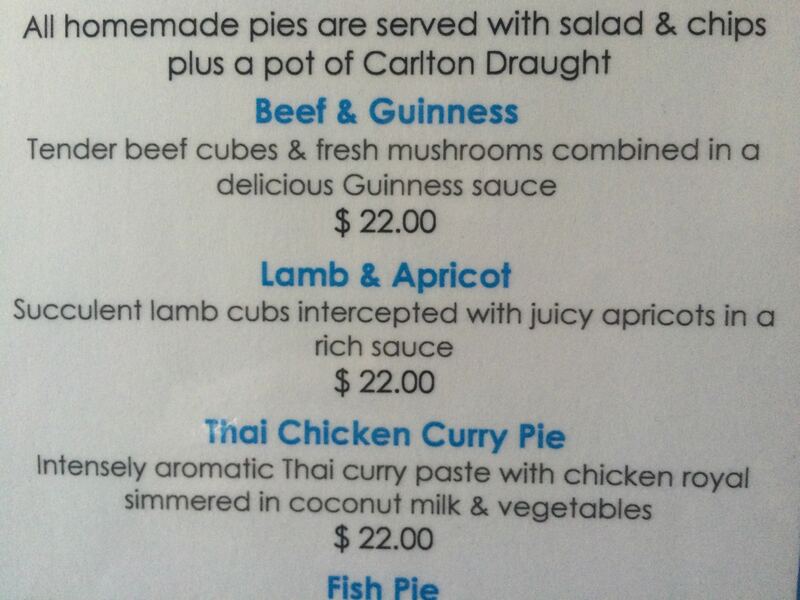 The other dishes sound normal enough, but WHY HAVE THE APRICOTS INTERCEPTED THE LAMB CUBS? And what actually are lamb cubs? Offspring of bears and sheep? WHAT IS GOING ON HERE? 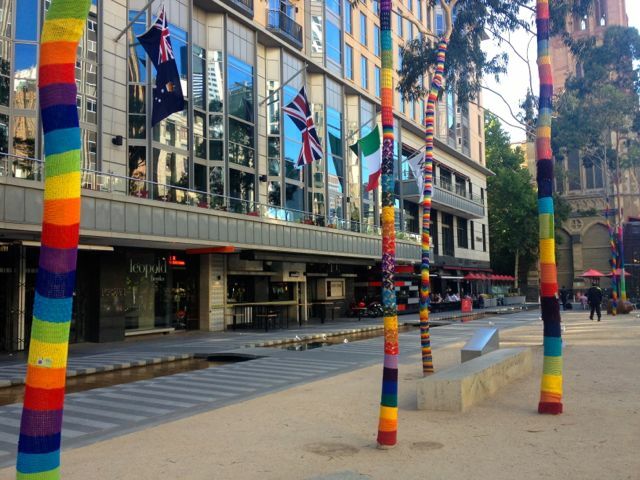 This isn’t a Valentine’s Day post, but I want to declare my love for the city of Melbourne. It’s so easy to navigate and full of interesting people and it’s just so COOL. (Even when it’s just so HOT, like yesterday – which stayed in the high 30s through to the night time and made walking around town a bit of a challenge.) 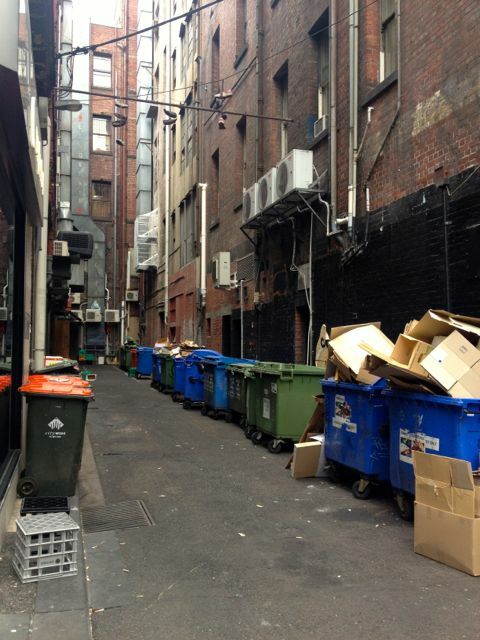 In Sydney, a lane way between buildings in the CBD is generally just a lane way, for rubbish or truck deliveries or drunk men to wee in. 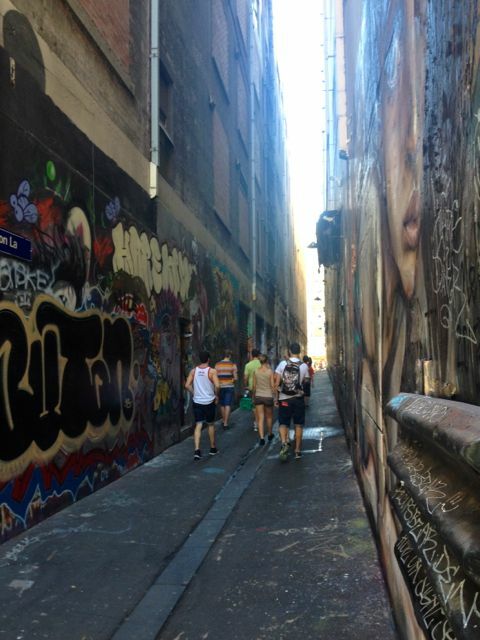 In Melbourne, a lane way between buildings in the CBD could be a funky bar, a series of restaurants, a gallery for street art, a shopping haven or a market. 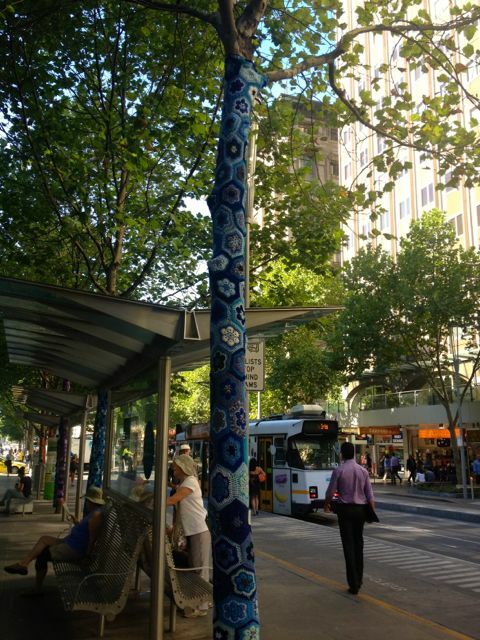 For the record, it can also be for rubbish or drunk men to wee in – I want to add that to be fair to my Sydney. 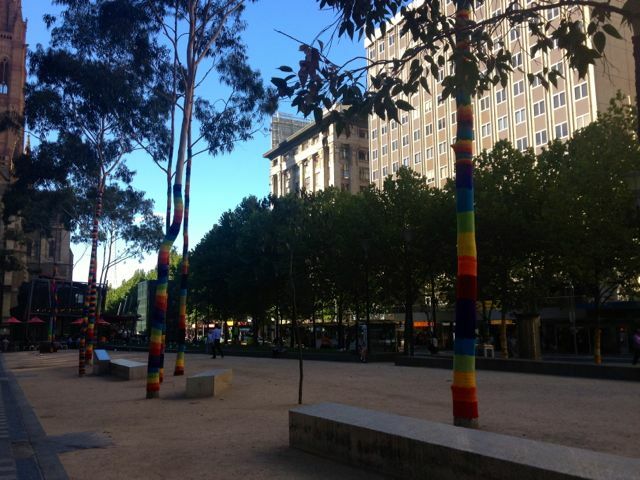 But for the most part, this city just seems to get it right. Here are some pics from my wanderings. 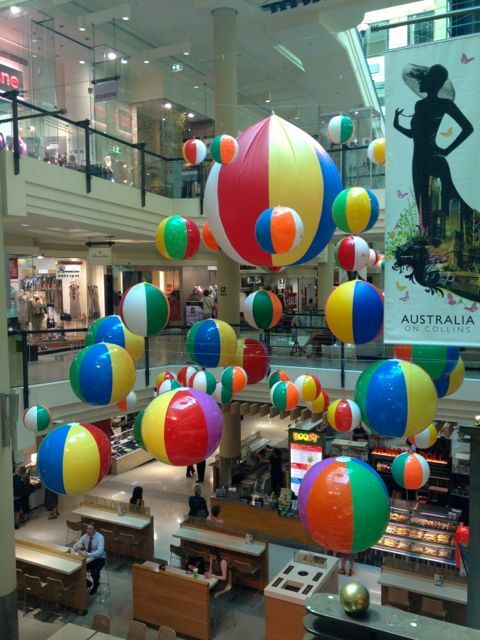 A shopping centre display of giant beach balls called Amazeballs. Yes, really. 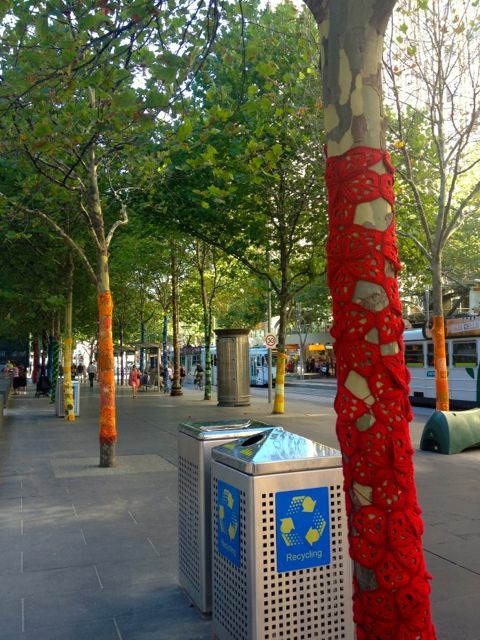 Like the ancient ruins in Rome, you’ll just be walking along and oh, HELLO AMAZING STREET ART. 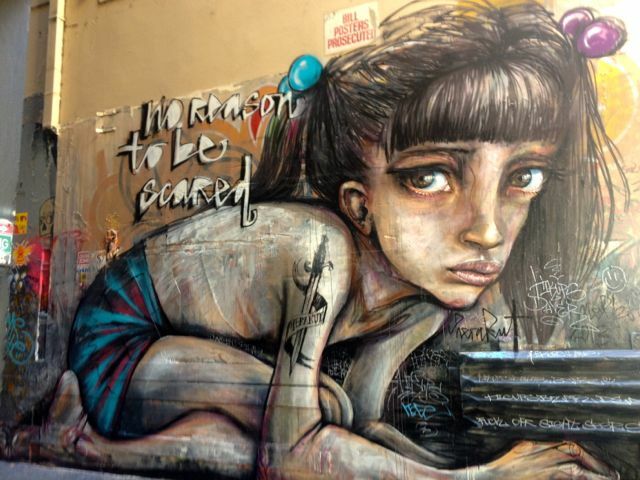 Down the lane way – a gallery of street art. And a whole lot of dodgy graffiti too. 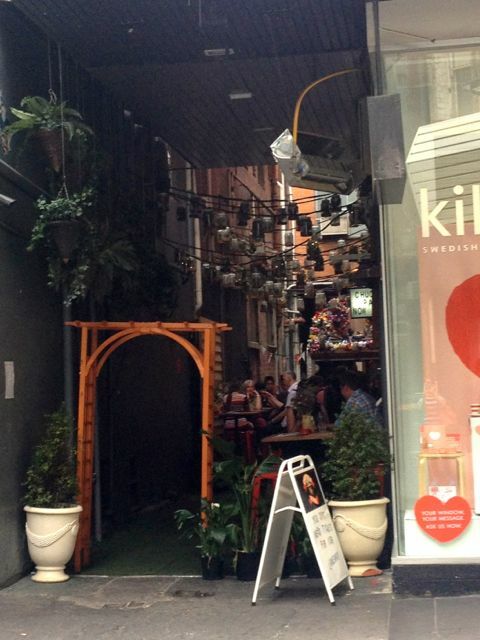 A funky bar tucked into a tiny lane way. 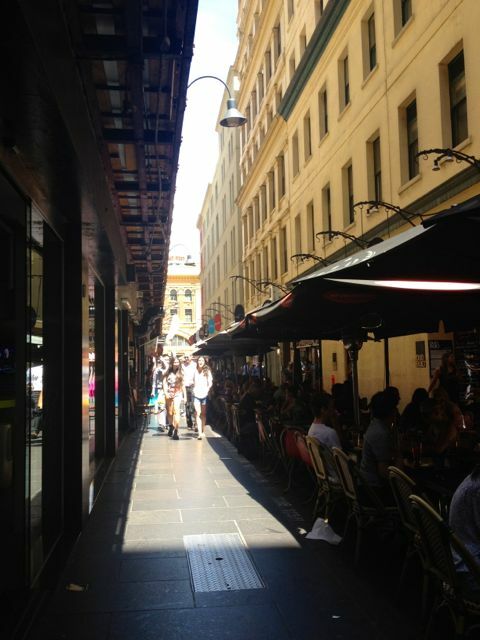 Lane way restaurants and cafes. 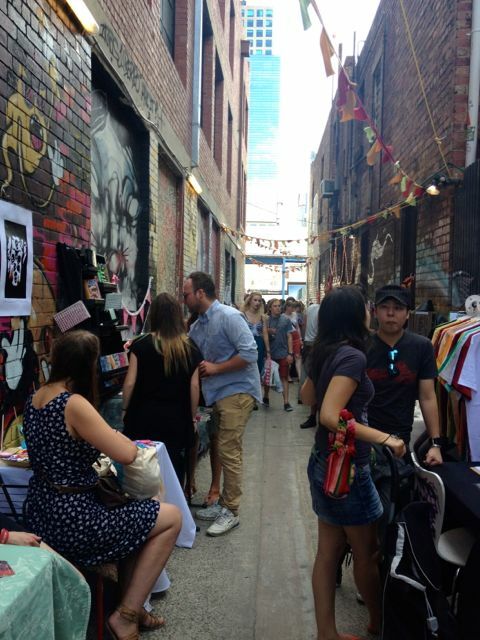 The Blender Lane Artists’ Market, where I met an amazing lady selling incredible photos mounted on reclaimed wood to raise money for orphanages and schools they’re building in Africa. 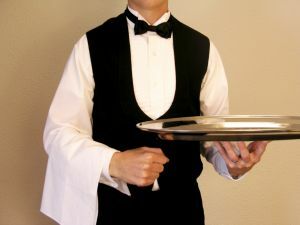 This lady volunteers a lot of her time in addition to her day job as a domestic violence social worker. Just awesome. Other than that, I was the only non-tattooed dork in that crowded Lane, I tell you. And sometimes, a lane way is just a normal trashy lane way. 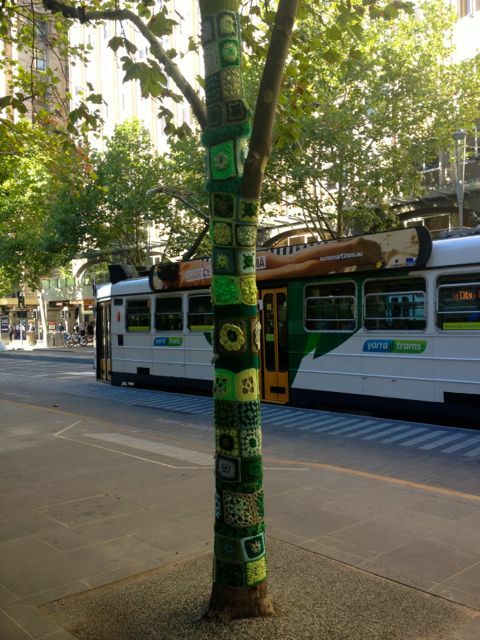 Even in Melbourne. 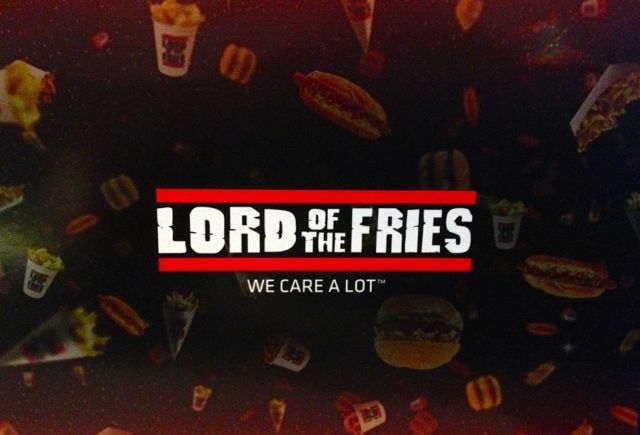 This Melbourne institution, a franchised fast food operation (errr derrr) has to have one of the best names on the planet. 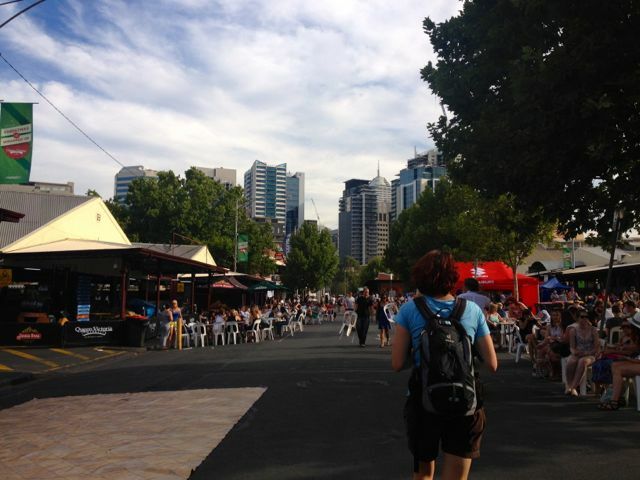 The beginning of the Queen Victoria Markets night time session with market stalls, heaps of bands, lots of food and drinks, and a bzillion people enjoying the summer sun. Such a great atmosphere, though the market stalls weren’t that interesting. 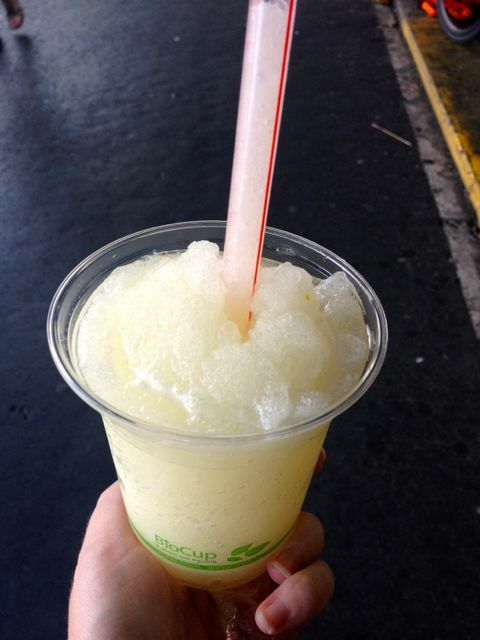 And on a really hot night after a really hot day, nothing beats an old school handmade fresh lemonade slushie. In a bio cup, because that’s so Melbourne. Love it.